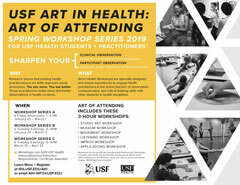 The Art of Attending, in partnership with USF Health, engages health science students and practitioners in series of workshops focused on enhancing key skills for healthcare practitioners that include observation, critical thinking, communication, self-reflection and empathy. 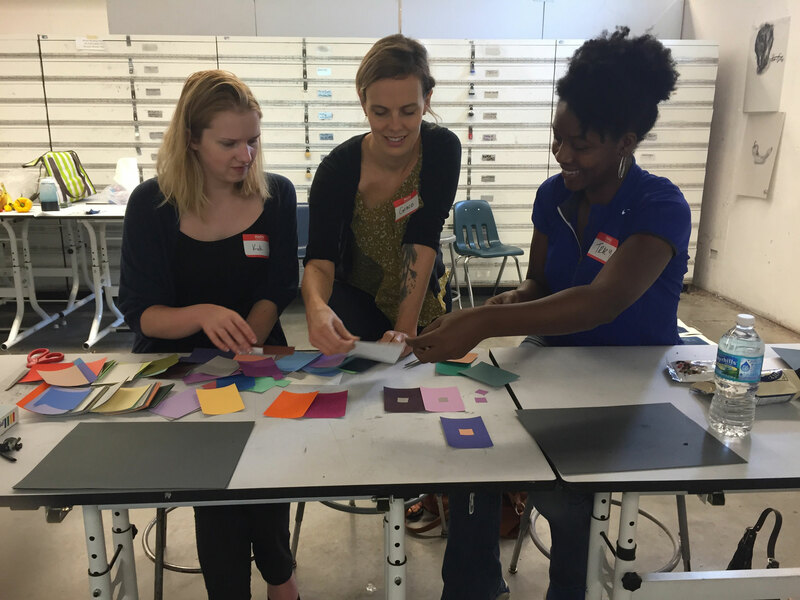 Visual arts, music, dance, theater and museum artists/educators as well as health sciences faculty facilitate the arts-based workshops. Arts at the Clinic is a weekly studio art-making program designed for participants with Aphasia, their caregivers and therapists. 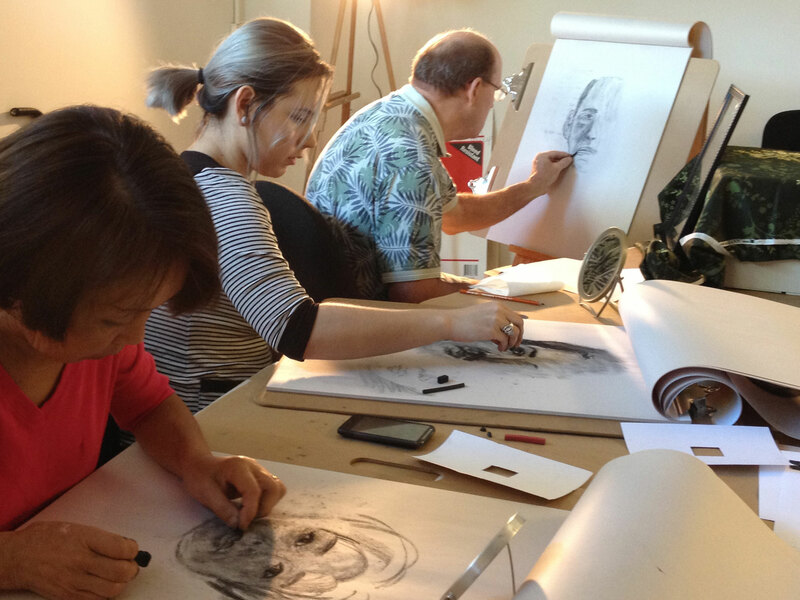 Studio sessions are facilitated by artist/faculty and advanced School of Art and Art History student interns in conjunction with the USF Department of Communication Sciences and Disorders clinical program. 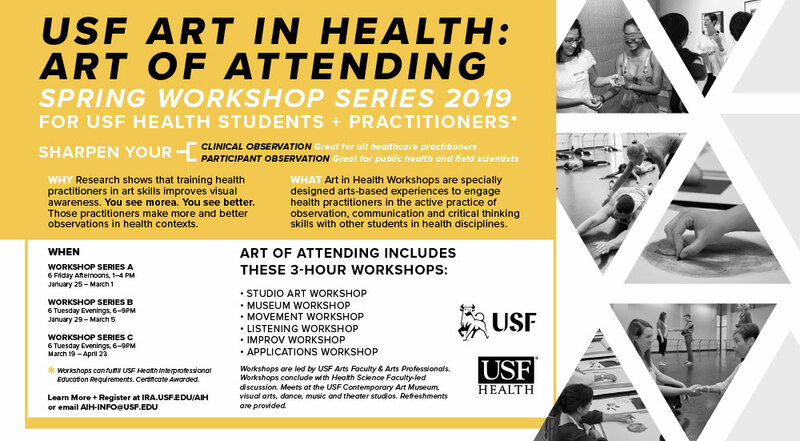 Art in Health collaborates with the School of Art and Art History to offer a course for arts undergraduate and graduate students as well as for-credit internships. 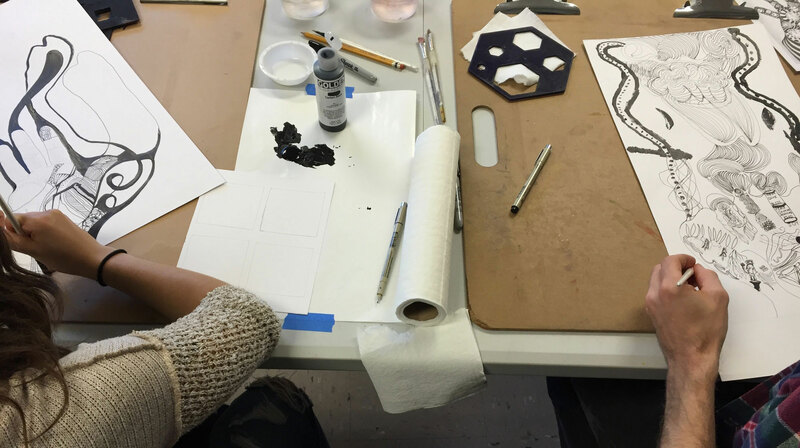 The Art in Health Studio/Lab and partnerships provide additional opportunities for interdisciplinary collaboration, student engagement and research.